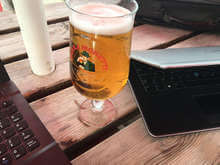 As I sit here in the sun at my local beer garden, with my laptops and a beer I start to consider how lucky I am to be able to do this. However is it luck or is it hard work. Is it the years that I spent trying to find a way to make money online that have earned me the right to be here. If you have been in the on the net for a while, you will no doubt have come across the scams. The I make £1 million a week binary trading. The I will sell you this push button system that will make you ridiculously rich. How with this one simple trick this mum makes £4748 a day on Facebook. The person who has hired a Lamborghini for a day to show you how you could own one as well. And finally the pyramid schemes. Recruit your friends to sell them Juice Plus or whatever the latest flavour of scam offering there is. 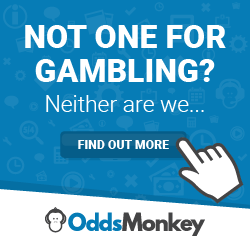 How is Match Betting Different? For a start you do not have to bother your friends on Facebook to join your circle. You don’t have to remove all mention of your actual job on Facebook and pretend you are paying for your holidays and cars from your Juice Plus money (yes, seriously, this is expected of you if you join). There also isn’t an expensive membership fee that you need to pay. There are tools to help but no false promises of a push button system that will make you rich. You will need to put some time in to learning. The more effort you put in the more you will make. You can start this in your free time and earn a second income. If you enjoy it and get good you can try full time. If you are happy with earning some extra beer money each month or saving enough for extra holidays, you can do that as well. I have been online for a long time. I have tried a lot of the scams. I have a real hatred for scammers. I would not have started this site if I did not feel that everyone who read it could get something out of it. You will need to take some action; if you only want to earn £800, then the action you need to take is minimal. If you want to earn £800+ a month you will need to put more effort in. Either way the rewards are there for the taking. Start Living the Digital Nomad Lifestyle and Escape the 9 to 5. Join our mailing list today to receive exclusive tips and tricks on how you too can stick your middle finger up at your boss and never have to worry about money again!